It’s snowing on Burnaby mountain and I need a new scarf! I’ve been walking around the mountain trying to convince my child it’s time to come out! I need something long and wrapable, warm, soft, luxurious, and maybe with a little cable….. enter the Cinder Scarf. 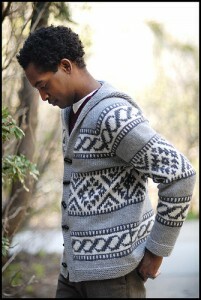 This is a pretty Jared Flood (Brooklyn Tweed) pattern and one of the features I quite like is that it is reversable. Reversable just makes good sense in a scarf because what are the odds, with all the wrapping and twisting a scarf naturally does that it will be lying exactly the way you want it to? Pretty much nil. 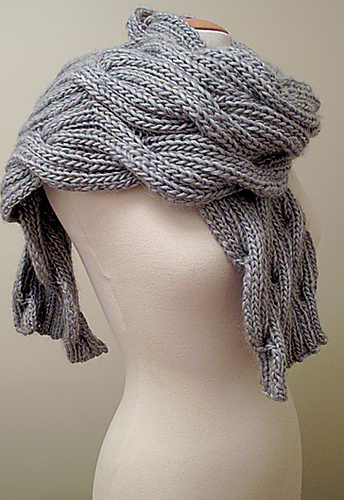 With this beauty the ribbing makes it completely reversable so you don’t have to think twice once you wrap it on. The yarn for Cinder is one of our newer favorites, Ariosa by Classic Elite. 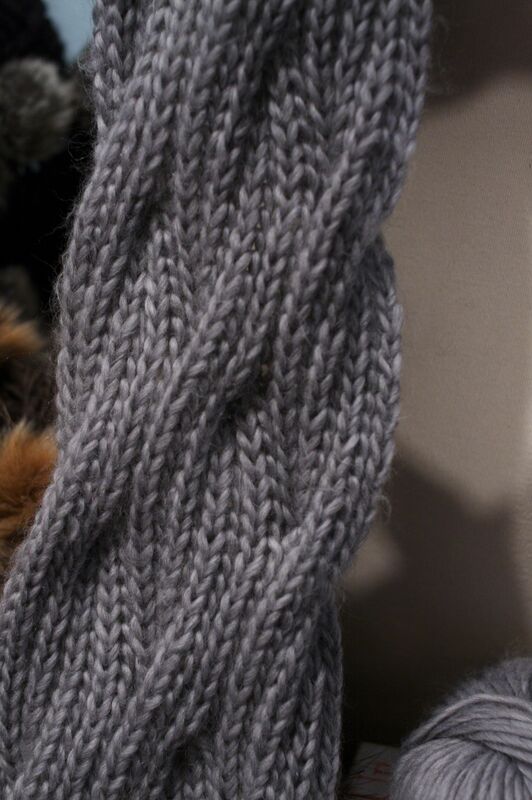 A super soft single ply yarn made up of merino and a hint of cashmere. The single ply combined with the cashmere make it a really luxurious yarn, perfect for any knitting project really. It’s a nice bulkyish yarn too: 14 stitches per 4 inches, so the scarf will go nice and quick even if it is quite long. The one Amanda knit up in the shop is 6 skeins but it’s a REALLY long scarf so anywhere from 4-6 is great depending on your scarf length preferences. If you are as smitten with this yarn as we are and are looking for a larger project there is also a wonderful sweater pattern in Jared’s book ‘Made in Brooklyn’ called Rockaway. It’s absolutely gorgeous! 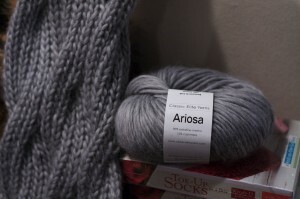 It’s knit in the Ariosa as well and I think it would be great for guy or girl, a nice warm wear for the weather. This entry was posted on Thursday, January 13th, 2011 at 1:43 pm	and is filed under Uncategorized. You can follow any responses to this entry through the RSS 2.0 feed. Both comments and pings are currently closed.